Streams are the lifeblood of the Pacific Northwest. 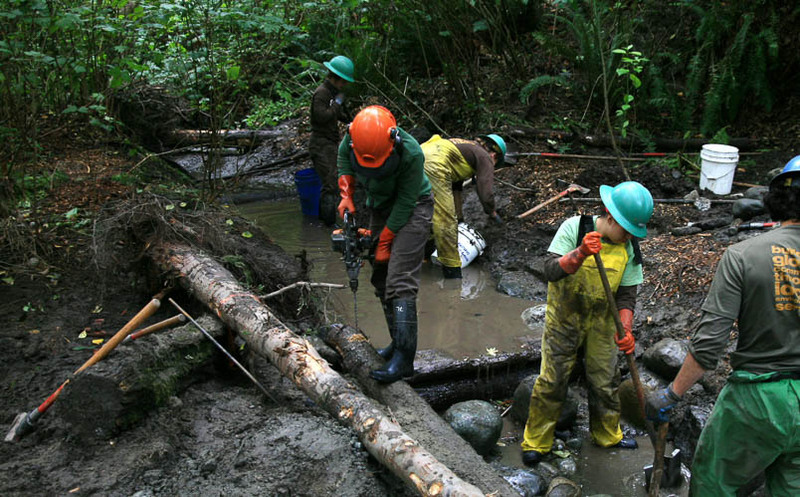 EarthCorps specializes in sensitive-area stream restoration. Working closely with an engineer, we have the capacity to move large woody debris, rock and other materials across terrain using highline systems and manual labor. Based on the design, crews have the capability to construct engineered log jams, step pools, rock, and wood barbs and other channel modification practices. Furthermore, we can stabilize banks with erosion control material and native plant installation. For a low impact, cost effective approach to your stream restoration project contact EarthCorps.